« Purchase on Kohgen World website and get incense holder and plate! [Media About Us] Our Kohgen Ginza Store has been introduced in inflight magazine of ANA Group! 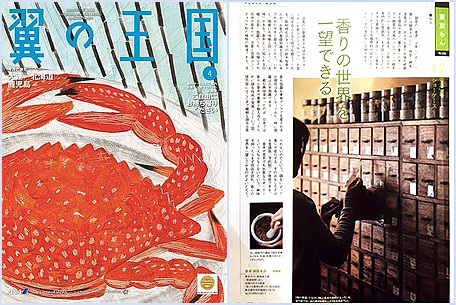 Our Kohgen Ginza Store has been mentioned in April 2017 issue of “Wingspan” / 翼の王国 (Tsubasa No Oukoku) inflight magazine of ANA Group, which you can find while using domestic ANA flights within the territory of Japan! We will be very grateful if you read about us there – the issue is available until the end of April! Only 3 min. walking from Kabukiza!